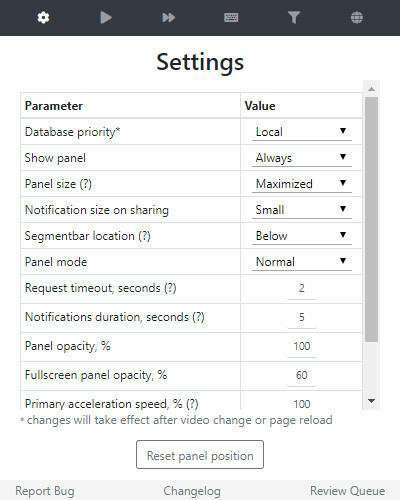 The extension has many settings, such as hotkeys, color schemes, acceleration of certain segments of the specified length, as well as automatic filtering based on the start-end time for any channel. 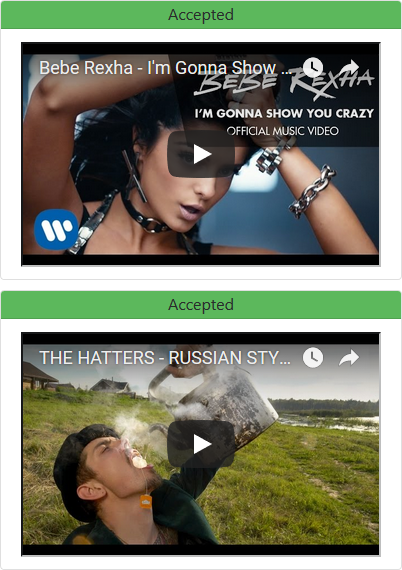 The extension has a database of already segmented videos and everyone can contribute! 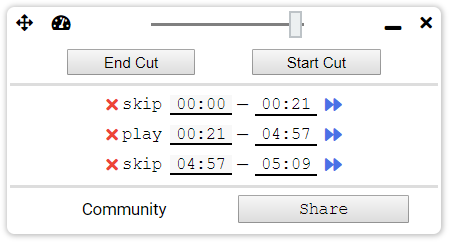 After the segmentation is sent and has been manually checked, all other users will automatically skip removed content. The source code is fully open and located on the GitHub. Thus, anyone can participate in the development of extension! Just press buttons or configure and use hotkeys. Everyone can contribute! Once your segmentation passed manual review, everyone will see it.